Here is a map shows territory of Russia. You can find here city Rostov presented. On this map town Gavrilov-Yam download for free. You can find here town Semibratovo presented. Displayed town Borisoglebskiy presented. town Petrovskoye download for free. 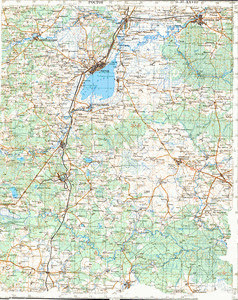 On this map town Il'inskoye-Khovanskoye free download. Displayed town Ishnya presented. town Porech'ye-Rybnoye presented. Displayed Zarechnyy free download. Zaozer'ye for Garmin. Zaluzh'ye marked. On this map Zakharovo marked. On this map Zabor'ye free download. Yutskoye for Garmin. You can find here Yelizarovo presented. Displayed Yakimovskoye presented. Displayed Vypolzovo presented.